Iceland would be an odd model for Britain to emulate. True, it just made England look silly on the football pitch at the European Championships. But there is little point in leaving the European Union in order to copy the Nordic nation’s trade ties with the bloc. These links hinge on membership of the European Economic Area, which brings together all EU countries and Iceland, Liechtenstein, and Norway. Non-EU members of this club are given access to the single market but with strings attached. Policies on certain issues, such as justice and home affairs, or economic and monetary union, don’t apply to them. However, they must accept the free movement of people, pay into the bloc’s budget, and accept many of its regulations. All without having any say over these rules or any representation in the institutions that set them. Signing up to this would be a terrible deal for Britain. The country would lose influence without satisfying any of the voters who cast their ballot for leaving the EU because they wanted to wrest back control over borders, stop paying money into the common budget or ditch the bloc’s rules. In an ideal world, British negotiators would probably want to retain access to the single market without permitting people from other countries in the European Economic Area to come and go freely. This was the general vision sketched out on June 26 by Boris Johnson, a leading campaigner to leave the EU and a frontrunner to replace Prime Minister David Cameron. And certainly, Britain, a member of the Group of Seven leading industrial nations, might be able to wrest a better deal than a tiny country like Iceland. The hitch is that other EU countries are likely to baulk at any such proposal. German Chancellor Angela Merkel said on June 28 there could be no “cherry-picking” by London in forthcoming negotiations. The not-so-subtle subtext was that a sweet deal for Britain could tempt other members of the EU club to break away or threaten to do so to win concessions and carve outs. Like the English football team, Brexit trade negotiations may also end in humiliation. 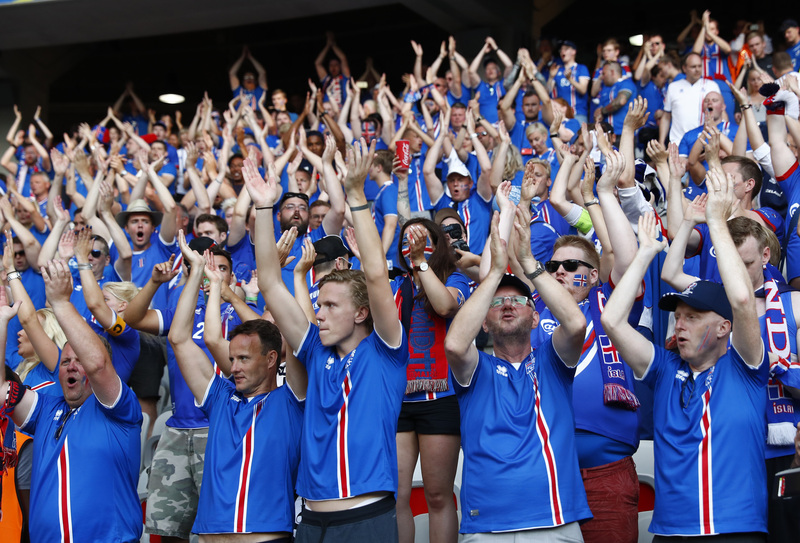 Iceland beat England 2-1 on June 27 in the European Championship and qualified for a quarter final against hosts France.